Then the Hattons received a phone call last October from Ohio State Police, who said they had found the missing Stingray in Cleveland. They hope to get the car running again in time for their 50th wedding anniversary. The car had been in Indianapolis all that time and the man who had it passed away. After his death, his son came to take the car back home with him. The title was unable to be found in the fathers things. The car was taken in for a police inspection, as required for a lost title. It was at that time the car was found to be stolen, seized and taken to impound. The auto theft division in Cleveland had recovered a 1969 black convertible corvette and they were looking for the last registered owner. Forty four years! 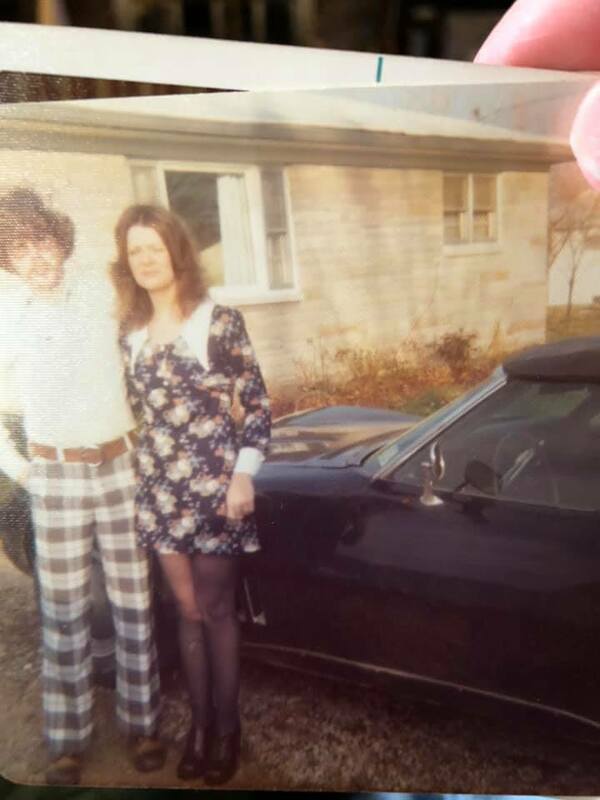 After 44 years, Rex’s car was recovered! All they had was a copy of a police report, Rex’s name and our apartment address (our first home a newlyweds) and the name of the insurance company. They had already contacted the insurance company but they had no records dating back that far. They had done a title search and it came back with Rex’s name on it and was listed as “purged”. The insurance company were ridiculous for 5 months and wanted the car to send to a salvage auction and refused to even discuss the possibility of us buying the car from them. In the end, they couldn’t prove that they had any interest (even though we all agreed that we had been paid for the loss) in the car and finally “abandoned any and all efforts to recover the vehicle”. The Ohio state police detective went way beyond what he had to do to get the car returned to us. The car is going into our storage and the restoration process will start as the extra funds become available. We’re in no hurry after waiting 44 years for this amazing theft recovery. Hats off to Detective Beal and the officers at the theft recovery hub with the Ohio State Police.